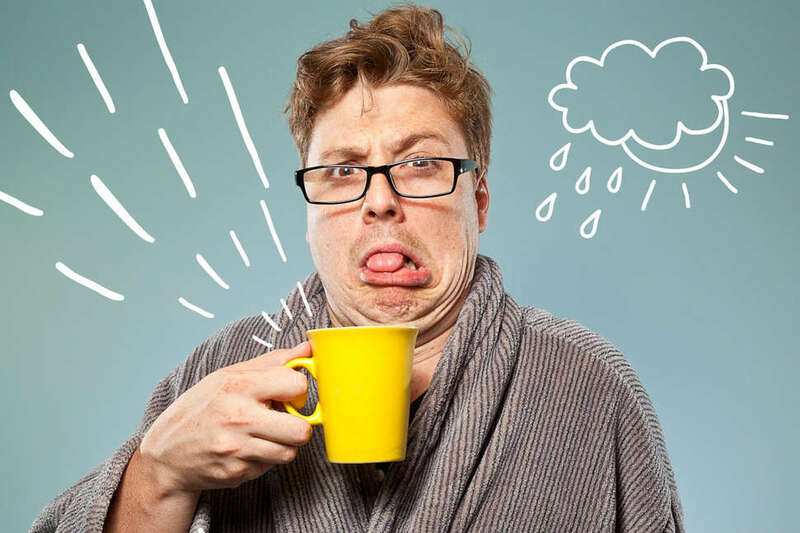 Drinking coffee isn't exactly a "dirty" habit like smoking, using your phone in the bathroom, or watching Showgirls every time you're on an airplane. 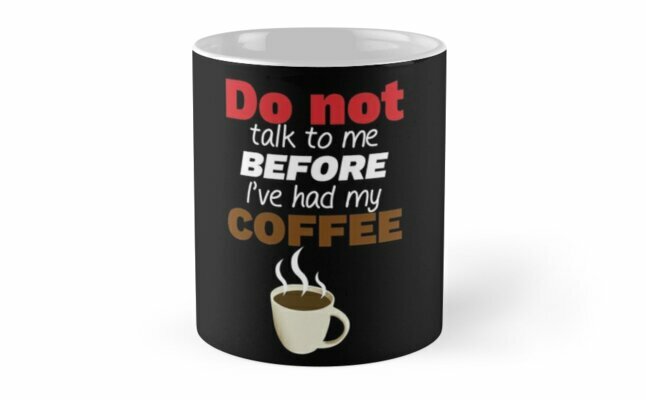 But if you consume that sweet, smooth, chocolate-y brown elixir of the rush hour gods every day -- like I do -- it almost becomes a leash; you will become dependent on your daily coffee to function. It turns out those awful mugs might hold a kernel of truth. 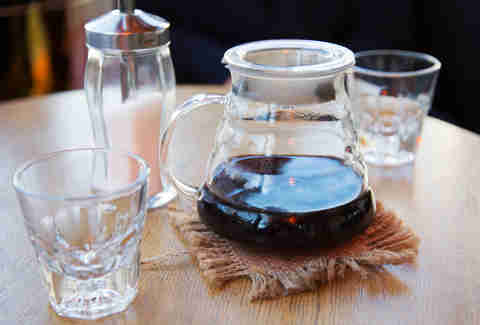 Regular coffee drinkers can certainly experience low-level withdrawal symptoms when they go cold turkey. We're talking sluggishness, headaches, irritability, lack of motivation... basically, you turn into that 30-year-old who wouldn't leave his parents' house till they sued him. So, because I don't want to be dependant on any chemicals (that don't rhyme with schmalcohol), I decided to wean myself off my three-to-four cups a day habit. But, because I have the willpower of a Saudi Prince's toddler, it wasn't as simple as just renouncing caffeine entirely and calling it a day at 9am. I selected seven well-known and at least partially respected coffee substitutions and tried each of them. One per day. Seven days. Plenty of irritability. Sorry for the spoiler. Depending on the (I don't know... strain? 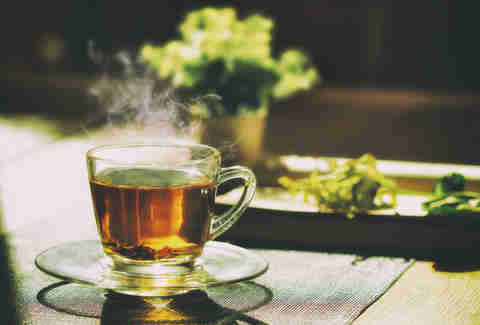 ), green tea will have approximately ¼ of the caffeine of a cup of coffee. Considering this, and the relative familiarity I have with green tea (I like to hang out in Chinese restaurants), I thought it would make an ideal starting substitution. Over the course of my casual Sunday, I had about three glasses of green tea. Which, our math-checking department has informed me, equals about .75 of a cup of coffee. Not only did it fail to satisfy my caffeine cravings, but it also did not deliver on the Zen-like peace of mind that was promised to me by the product's elaborate packaging. Green tea is one of those things that you feel like you should enjoy -- like playing chess, or spending time with your grandparents. But as much as I try, I simply couldn't bring myself to enjoy that bittersweet, swampy aftertaste that lined my mouth. I think most Americans who drink this stuff are just pretending to like it, because we feel like it's the cultured thing to do. It's the Downton Abbey of hot beverages. There, I said it. Verdict: Not a good substitute. Kombucha has made the full slide from an ancient fermented Manchurian beverage to something my mom buys at Trader Joe's, because her friend Patty told her it got rid of her hemorrhoids in three weeks. While the exact health benefits of kombucha are murkier than an unshaken bottle of kombucha, it does have a slight amount of caffeine, usually about 1/10th of a cup of Joe, and enough holistic ingredients to possibly compensate -- because placebos are effective, too. 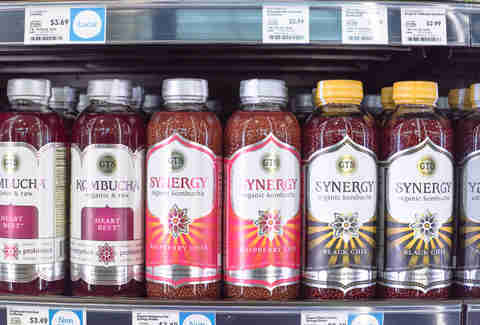 I honestly have not had that much kombucha previously and was pleasantly surprised at how much I enjoyed drinking it 10 minutes after I woke up (the brand was GT's Synergy Trilogy, by the way… and yes, that was really the name). It was fizzy, slightly tart, and had a layered, complex taste that reminded me of a cocktail. I'm actually now a kombucha fan! But sadly, I could only stomach a cup of this stuff. And it certainly did not fill that coffee-shaped hole in my daily routine. I am still getting headaches. I am still feeling tired. I am still getting the shakes whenever I spot a co-worker hovering around the Keurig. I think I need to call my sponsor. Also, I should get a sponsor. I decided to make my third substitution a Tech Bro Tuesday by swapping in the caffeinated version of the meal replacement wunder-drink (that is definitely not made of people, I checked), Soylent (if you say it in a robot voice, it's more satisfying). In this surprisingly thick liquid breakfast, there is just about as much caffeine as a cup of coffee. So for the first time in three days, my cravings were actually sated. This was the good news. The bad news was that it was too filling -- and I would compare the flavor notes to what I imagine the embryonic liquid Neo was floating in before he red-pilled tasted like: kind of sweet, and fully unsettling. I had it with a bagel, and it was like expanding foam was poured into my stomach. This is a true meal replacement, not a coffee replacement. There's no way I could drink more than one of these in a work day, so even though the caffeine levels were equitable, it just wasn't the same. The last time I drank mushroom coffee, I was 21, headed to Bonnaroo, and definitely didn't have a 3pm meeting with my boss later on that day. Obviously, this coffee uses different (read: legal) shrooms as part of its shtick. 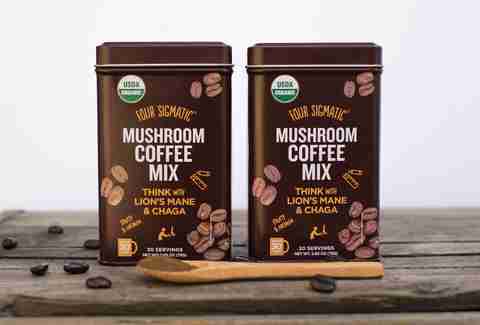 And really, this almost seems like cheating: they use black instant Arabica coffee mixed with a medley of mushrooms touted as having amazing nootropic components. So, it's almost like coffee-plus... on paper, at least. While the benefits of shroom-coffee have been touted by the likes of Tim Ferris and have been subject to countless, derivative "The Rise of Mushroom Coffee" articles, obviously, I just felt like I was drinking instant coffee with a mild, silky aftertaste that gave me the faintest earth tone. It definitely gave me a considerable caffeine buzz, but any tingly limbs were likely a result of my body adjusting to the lower doses of the stimulant I was regularly consuming. In the end, it wasn't magic. It wasn't bad. It was just... meh. 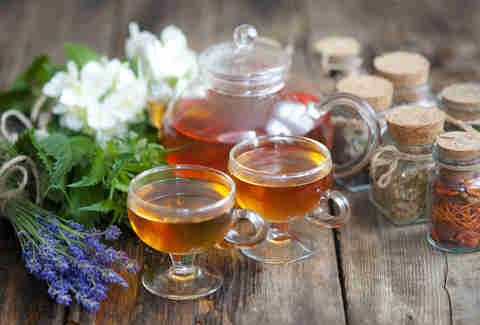 Aside from boosting energy, the powdery, pungent dandelion root tea allegedly stabilizes blood pressures and blood sugar, detoxifies your kidneys and liver, and "cleanses your blood." Bitter. No caffeine. Made me pee a lot. Made my pee smell weird (might be coincidental). I quit after one cup. Do not recommend. Do not try at home. I am questioning my choices. Thursday is bad. Did I forget my dry cleaning? This didn't help. Thursday is bad. My blood cannot be cleansed. On Friday, I decided to get weird. Postum has been considered a "coffee substitute" for more than a century. Just check out this odd, fear-mongering ad from 1910. What is Postum? To be blunt: it's just as gross as its gross name. Postum. The powder itself, to be mixed with boiling water, is made of roasted wheat bran and molasses. It's like the kind of thing a cartoon Grandpa in the '90s would slurp down and chase with prune juice, as if it exists only to facilitate a joke about smelly old people. It smelled like a closet full of wet peacoats filled with old walnuts. It tasted like a slice of retirement home sofa. I think it actually made me grow hair out of my ears. I was finishing lines on Murder She Wrote. The glow from the slight bumps of caffeine I consumed earlier in the week had faded, and my headache was back. 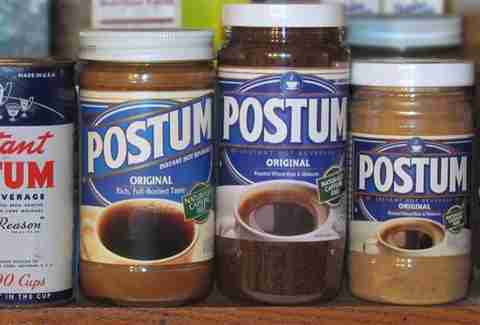 I hate Postum. My final coffee-less day began with a simple premise: I'd drink a shitton of water to gain more energy, and see if the simplest answer, could be the most effective. I think they call that Postum's Razor. I even threw some cayenne pepper in there because that I know is some cleansing/dieting/cry-for-help health trend and I was running out of options. For a while, maybe an hour or two, the spicy water did stick a subtle spring in my step. Though, it was probably just the water part. Then, I did the inevitable. I drank my first cup of coffee in over a week, a few hours early. And you know what? I didn't regret it. I felt great. I went out. I had energy and pep and maybe my breath smelled a little bit like Postum still, but I was alive, dammit. In the end, maybe I was supposed to come to some type of revelation. Maybe, for the reader, it would provide a better sense of closure if I had found a coffee substitution, embraced it, and then ran with it for the rest of my allegedly better life. But I didn't. Nothing lived up to coffee. There's a chance that nothing ever will. Perhaps it's why we have been drinking it for thousands of years. Maybe I'm just a dude who is stuck in his ways. Or maybe coffee is just one of life's simple pleasures -- and to deny myself coffee would be denying myself one of the little things that makes my life a tick more enjoyable. And what a valuable lesson that is. Verdict: I'm sticking with coffee. Forever.